News about Vince Gilligan's upcoming Breaking Bad film is giving fans a clue as to where they'll be able to view the project. According to Deadline, the movie will reportedly air and stream on AMC and Netflix, respectively. The original Emmy Award-winning series premiered on AMC back in 2008 and ran for five seasons before concluding in September 2013. Series creator Vince Gilligan is set to helm the mysterious project. Throughout the show's run on AMC, seasons of Breaking Bad were released on Netflix, boosting its viewership on cable TV. In the years after it wrapped, the drama's fan base has grew exponentially thanks to streaming so it makes perfect sense that these two would air the project in tandem. Not much has been announced about the project other than the name Greenbriar, which is believed to be code. However, The Hollywood Reporter recently reported that Aaron Paul is set to reprise his role as Jesse Pinkman in the film sequel. Welcome back, Jesse Pinkman! The movie is helmed by the show's original creator Gilligan, who serves as writer on the project and executive producer alongside fellow Breaking Bad alums Mark Johnson and Melissa Bernstein. Netflix will also receive the project first before it subsequently airs on AMC — a stark reversal from the show's run. Paul's Jesse played antihero and drug kingpin Walter White's (Bryan Cranston) partner in crime... until the end of the series, at least. The film is supposedly going to feature Jesse's quest for freedom following his escape from the neo-Nazi compound that Walt desecrated in the series finale. Fans last saw Jesse speeding away with tears in his eyes as he laughed with joy over his escape from captivity. 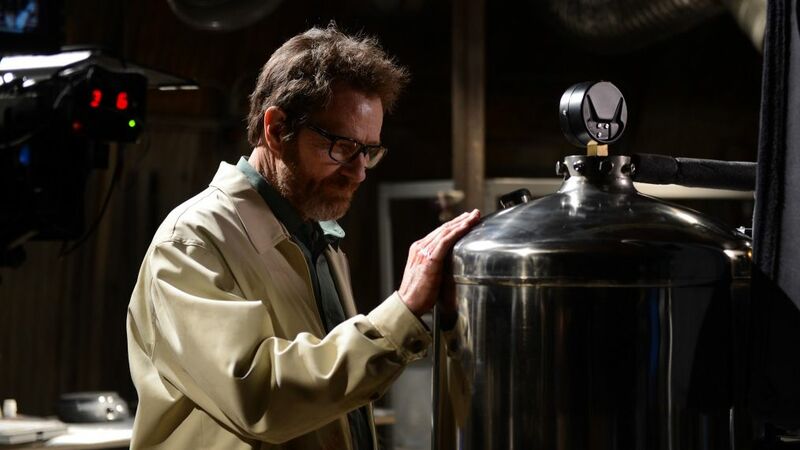 No word on whether Cranston will return, as many believed his character to be dead. That said, the actor revealed late last year that he's open to returning if asked. This marks the series' second companion project next to the critically acclaimed spinoff series Better Call Saul featuring shady lawyer Saul Goodman's (Bob Odenkirk) story prior to meeting Walter White.